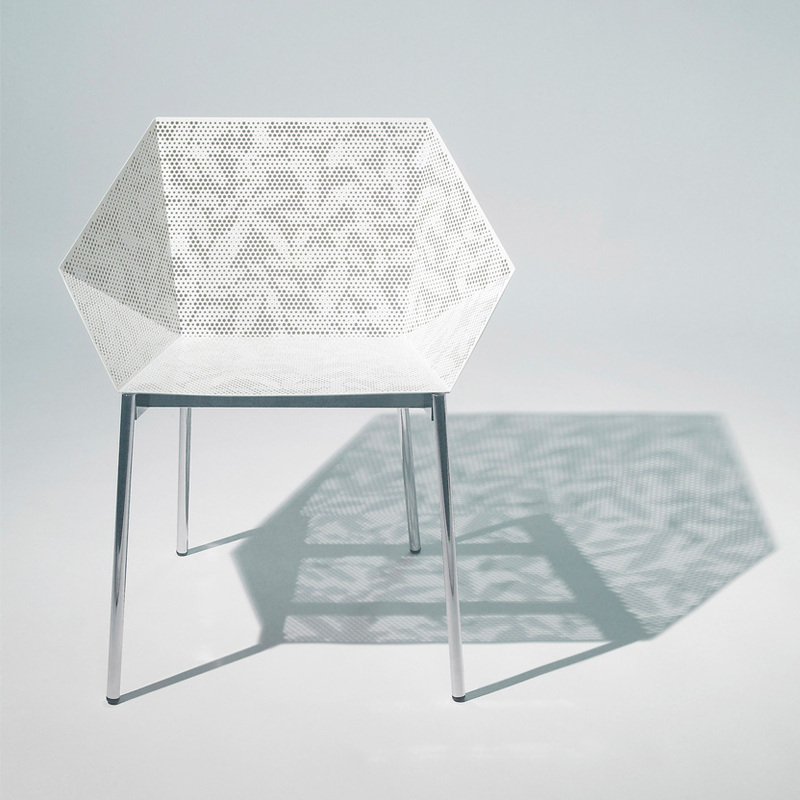 This chair originated from the Sfera Building architecture project. The punched-hole leaf pattern is the same as on the facades. 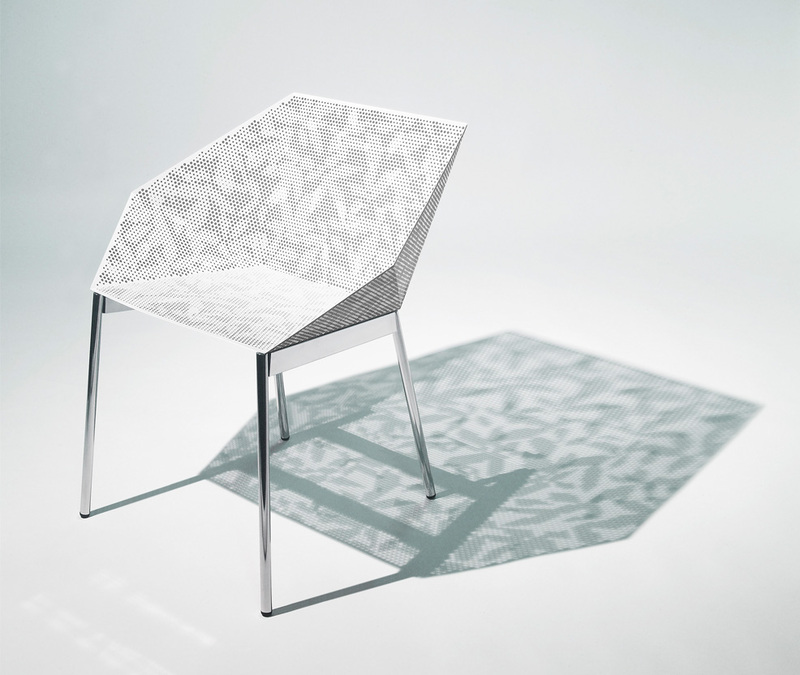 The chair is an origami-inspired folding exercise in sheet metal that becomes surprisigly comfortable. 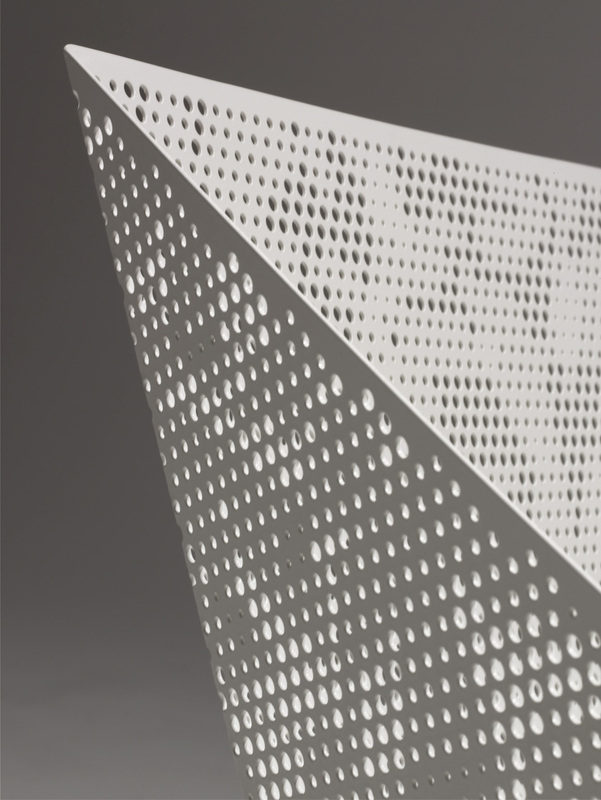 Of only three possible companies in Japan, one company, using laser-cutting techniques, was able to manufacture the chair.